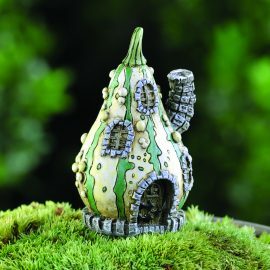 Size 13cm high – 11cm wide. 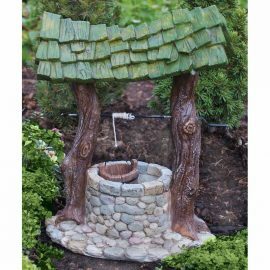 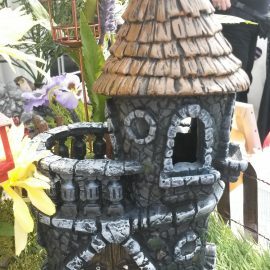 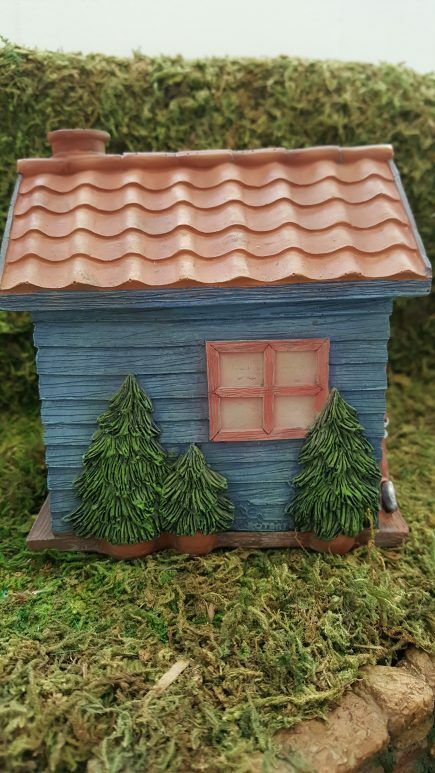 It is blue and decorated with a small terracotta pots,watering can,tools,plants and lots more. 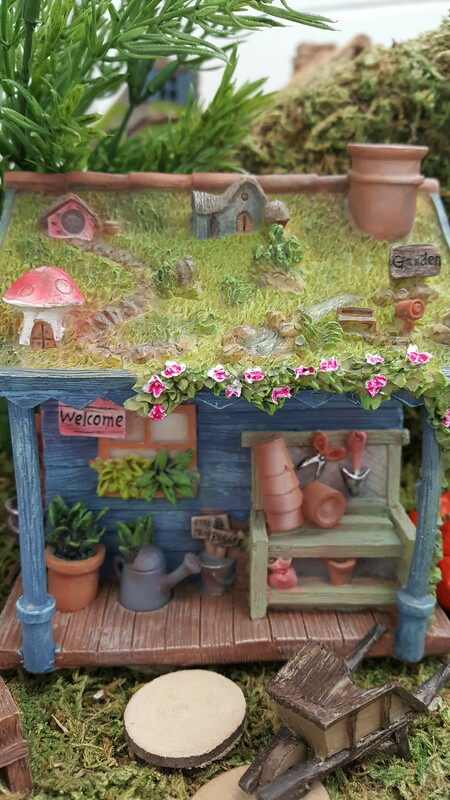 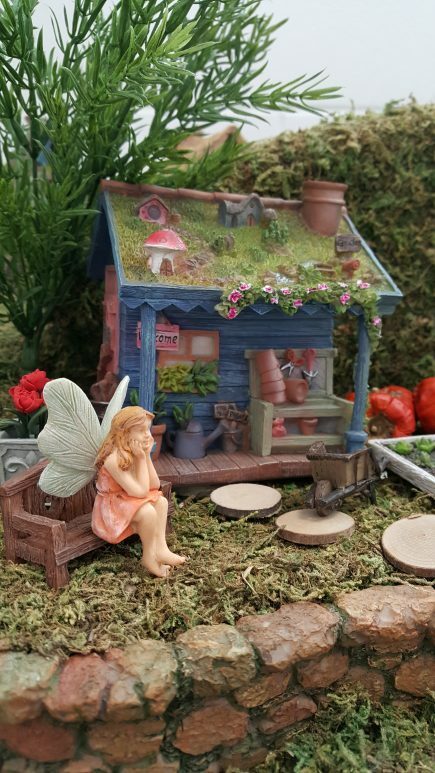 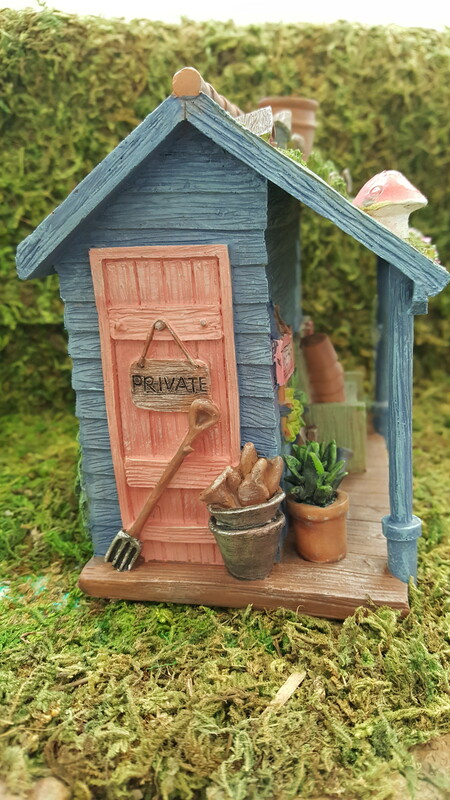 What makes this shed so special is that it has a miniature fairy garden display on the roof.